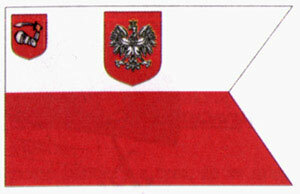 I am concerned about flag and (absent) burgee of Yacht Klub Polski. The main thing is that Yacht Klub Polski is known in English as Yacht Club of Poland. 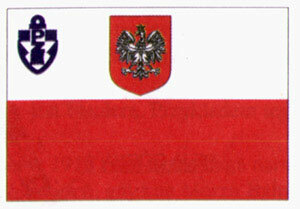 Poland as a noun not as an adjective 'Polish'. Therefore the noun in Polish should not be appearing as 'Bandera Yacht Klubu Polskiego' but 'Bandera Yacht Klubu Polski' both in hyperlink and title of illustration. Our club was founded in 1923; flag and burgee were adopted on 28 March 1927. More explanation about this, and YKP Burgee - you could find in the 'History' page of Yacht Klub Polski internet page. This is a burgee of the Association of Internet Sailors, but it has to do with the real sailing - on water. The organization serves to arrange meetings of members at various lakes or waterways for the benefit of cameradie of, otherwise, not organized individual enthusiasts of yachting. The association is located in Warsaw.